Social media is the prime place to build brand loyalty. Brand loyalty (or customer loyalty) is exactly what it sounds like: the loyalty your customers have to your business, brand, and product. Loyal customers are the bread and butter of a successful business. New customers get a business off the ground, but recurring, loyal customers keep businesses afloat. It’s essential to earn their loyalty so they keep coming back for more and keep on spreading the word. Here’s five ways to use social media to build brand loyalty. That thought may sound weird to you. How in the world can people have a relationship with a business? A business isn’t a person. You come in, buy what you want or contract the work you need and leave, right? Moz rightly points out that customers feel more positively about a brand or business when they feel like they have a relationship with that brand and when they feel like they’re valued by that brand. It’s this relationship that keeps them coming back for more. Use social media to build this relationship. Your customers are on social media channels. This is where you can engage with them, show them they’re valued, and keep up regular conversations. The next four tips focus on how to use social media just for this. Relationships need conversation. If you don’t have that, you don’t have a relationship. 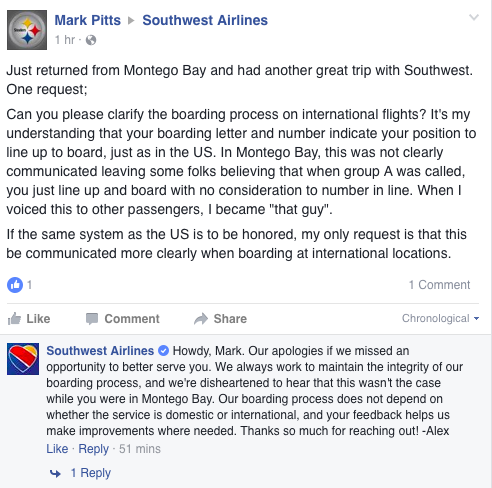 Don’t ignore your customers on social media. If you’re running your socials right, your base should be interacting with your posts. Return the favor. Reply to their comments. Quickly answer the questions they send your way. Don’t leave anyone hanging. People love voicing their thoughts, and they love to know they were heard. Even if it’s just a thank you, say something. Consistent communication will help your customers love you because they feel valued. There’s a saying you probably know: Opinions are like elbows. Everyone has one, and I don’t need yours. You need to please your customers. If they have a criticism, listen. More importantly, make the change if you can. And when you take their advice, let them know it. This is another way to build the relationship and keep the conversation going. When you take someone’s advice, post about it. Live stream about it. Write a blog about it. Do something to let your customers know. Because customers love businesses that give them what they want and need, and they will feel like you listen and care if you actually listen and care. Remember how everyone has an opinion? Everyone has problems, too, and they’re not just going to voice it while they’re in your workplace. They’ll voice it on their social media channels. Like with a lot of things, social media changed where customer service takes place. It’s no longer just in-house or over the phone. It’s on Facebook, Twitter, and every other social, too. Whether they Tweet it to you or post it on your timeline, you need to respond with an appropriate answer. If you’re not sure what this looks like, just take a look at how Southwest Airlines does it right. Finally, don’t push your brand all the time. This might sound counterintuitive, but hear me out. Do you like being marketed to 24/7? Do you like having ads thrown at you every time you open Facebook? You probably don’t. And neither does anyone else. No matter what your business is, your customer base has other interests. Use this to pad out your social media content calendar. Sharing something else your customers are interested in can boost engagement, foster more conversations, and moves your forward in their minds as a source of trust. Because it shows you know your customers. You know they’re actually people. And if you’re sharing stuff they like that’s not marketing material, then it’s a common interest they share with your business, fostering that relationship even more. Apr 22 What is a Sentiment Analysis? How Do I Conduct One?